Sway Calloway and crew return to Carolines on Broadway to broadcast their SiriusXM show “Sway in the Morning” as part of the New York Comedy Festival. As part of the broadcast, Sway welcomes comedians from across the country as part of “Sway’s Comedy Search” competition. One lucky — and funny! — winner will earn a chance to perform live at Carolines on Broadway as part of the Breakout Artist Comedy Series. There will also be special surprise guests including comedians, hip-hop artists, newsmakers and other celebrities for interviews and live performances, while Sway’s crew reports entertainment and music news and more! 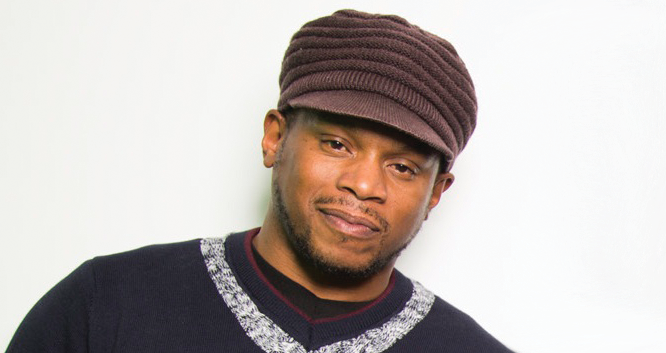 For more information, listen to “Sway in the Morning,” weekdays from 8:00 AM – 12:00 NOON on SiriusXM’s Shade 45 channel and follow Sway on Twitter, @RealSway. TO REQUEST TICKETS TO ATTEND THIS EVENT, PLEASE EMAIL swaycomedyshow@gmail.com YOU MUST EMAIL A LIST OF ALL NAMES IN THE PARTY (NO PLUSES). SEATING IS ON A FIRST-COME, FIRST-SEATED BASIS. SPACE IS LIMITED. COMEDIANS WHO WOULD LIKE TO BE CONSIDERED TO PERFORM LIVE AT THE BROADCAST MUST SUBMIT A 1 – 2 MINUTE VIDEO BY EMAIL TO swaycomedysearch@gmail.com. THE DEADLINE IS WEDNESDAY, OCTOBER 24, 2018.